Samsung may have officially started rolling out the Galaxy S7/S7 edge Nougat update, but it's not yet available in all the markets around the world. 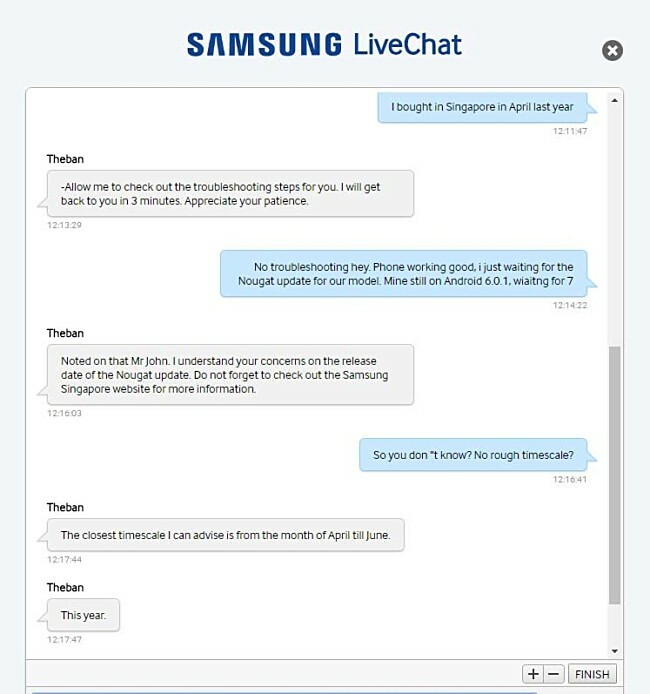 One such market is Singapore, where - according to a Samsung rep - the roll out won't begin until next quarter. As the screenshot reveals, the rep has given a "rough" timeline of April to June. Do keep in mind that this isn't a final or an official confirmation, and we've seen reps getting it wrong many times in the past. Until Samsung officially comes up with a word on this, let's hope the update arrives sooner rather than later.